Bob Gilbert’s immersive nature book, Ghost Trees, has been longlisted for this year’s prestigious Rathbones Folio Prize. Open to English-language writers from around the world, the £30,000 Rathbones Folio Prize rewards the best work of literature published in the UK in a given year. It is the only literary prize in which all the books considered — be they fiction, non-fiction, short stories or poetry — are nominated and judged by an Academy of writers. 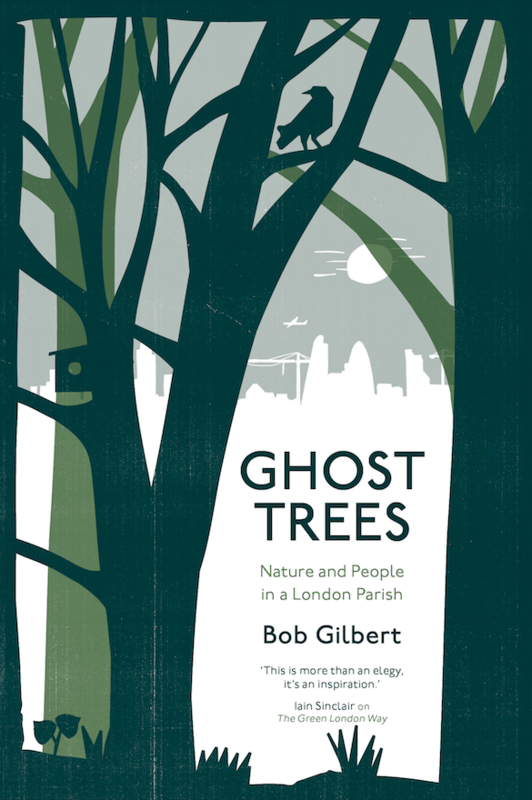 Ghost Trees: Nature and people in a London Parish delves into the previously unexplored natural history of an inner-city area: Poplar in east London. With a focus on the trees of the district, Bob Gilbert reveals how the ancient wildwoods all the way through to the street trees of today have helped shape London: it is an arboreal history of the city. Selected as a Book of the Year in the Guardian, Ghost Trees has been praised as “a joyous hymn to the urban wild” by nature writer Patrick Barkham, and “lyrical and beautifully evocative” by BBC Countryfile magazine. The Rathbones Folio Prize judges will next decide on a shortlist of eight, to be announced on 4 April, and the eventual winner will receive a cheque for £30,000 at an award ceremony on 20 May.